This expanded ranch, in a great, convenient location, has been impeccably maintained and pride of ownership is displayed throughout. 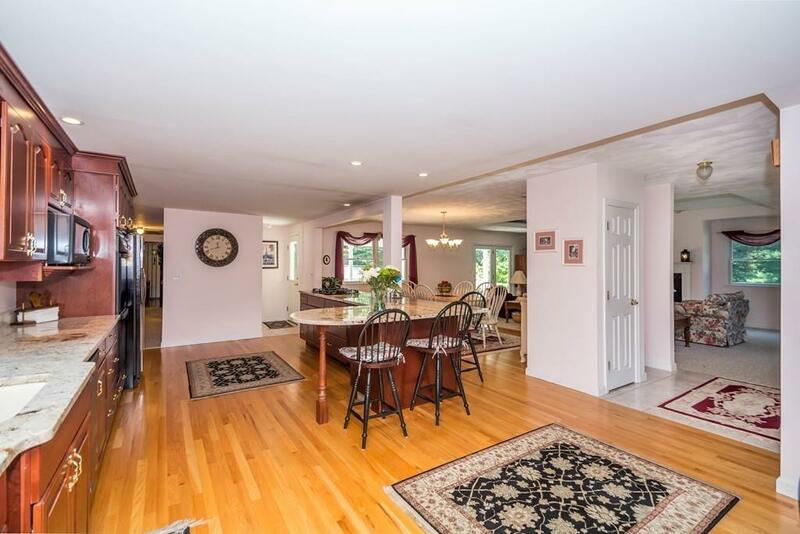 The newer open concept addition features a fabulous kitchen with granite counter tops, a large island with a cook-top range, a double gas oven, ample cherry cabinets, hardwood flooring and a built-in desk. The addition also has a large gas fireplaced family room with tray ceilings with accent lighting and french doors that lead to a Farmer's Porch with trex flooring, overlooking a private back yard. A lower level game room comes with a bar, shelving and a gas fireplace. The two car garage includes remote openers and a security keypad. All this plus tilt-in windows and a basement that also boasts a bonus room. The professionally landscaped yard is populated with several flower beds, a sprinkler system, a shed, storage under farmers porch and accent lighting. Original occupant.